Presidential candidate Donald Trump is known for raving about his companies while on the campaign trail. From steaks, wines, and taco bowls Trump has done an excellent job of promoting these businesses. This video from the Wall Street Journal is just the tip of the iceberg when it comes to Trump’s self promotion. Do not forget about the famous Cinco de Mayo post claiming Trump Grill located in Trump Tower (NYC) had the best Taco Bowls. There is a tremendous amount of debate as to whether or not the taco bowls are the best. So I ventured to Trump Grill in order to sample a taco bowl, a steak, and a glass of wine in order to finally end this debate. I strongly believe Trump will attempt to model America after this taco bowl if he becomes President. Notice the strong wall that can withstand the assault of the mightiest fork. On the inside, the bowl contained a diverse mix of flavors from the fresh seasoned ground beef to the savory guacamole. This was truly one of the best taco bowls I have ever sampled, and you will not find a taco bowl like this at your local Moe’s or Chipotle. Trump was correct about these being the best. The second meal I sampled was the steak and eggs. 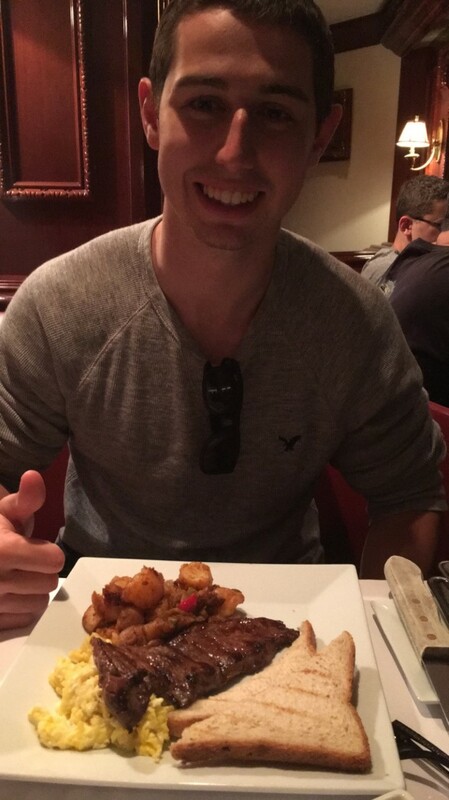 Trump claims Trump Steaks are “The world’s greatest steaks” and I was definitely impressed after taking my first bite. Yes the steak could have been thicker, however it was still delicious and cooked to perfection. Easily one of the best steaks I have eaten in a while, but not the best. That title goes to Hyde Park Prime Steakhouse located in Columbus, Ohio. Meanwhile, the eggs, potatoes, and toast would be comparable to any Denny’s or IHOP. 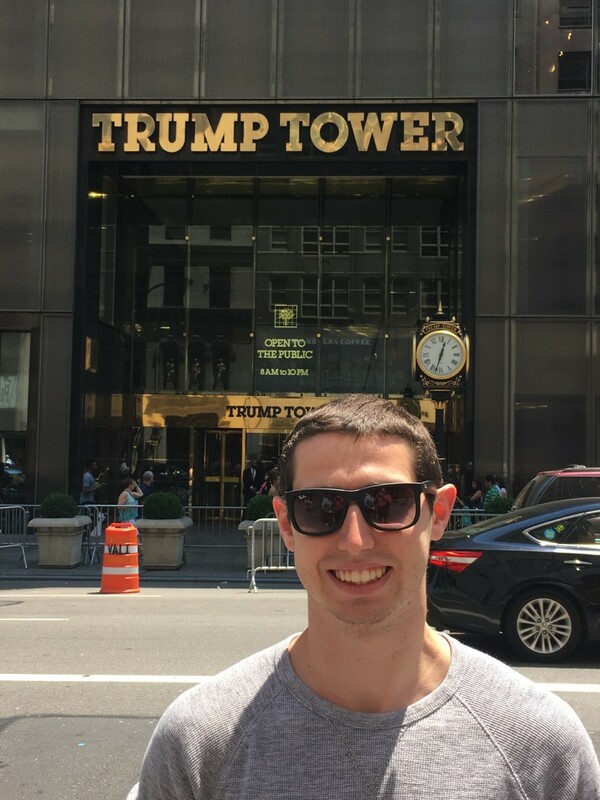 I was originally excited to sample wine from the famous Trump Winery. 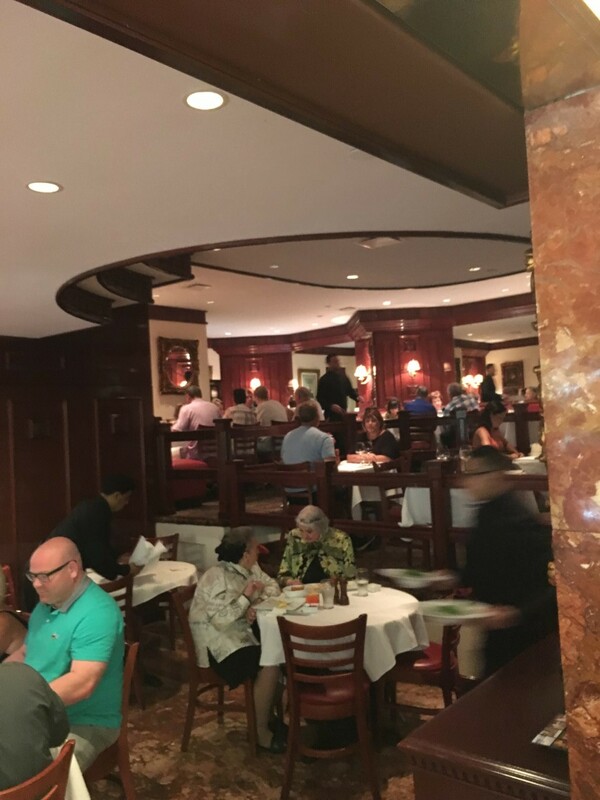 However, as I glanced across the restaurant and saw a couple dining at a nearby table, I noticed the portions of wine they were just served were meager to say the least. 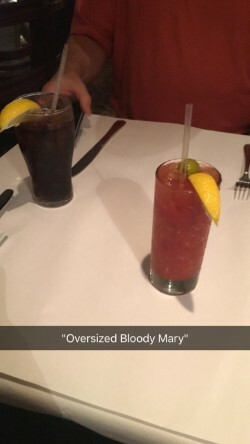 There was about an inch of wine in each of their glasses, and considering the cheapest wine on the menu was $11, I opted for the “You’re Fired” Bloody Mary. According to the menu this drink is “An oversized Bloody Mary made with Absolut” but clearly the bartender did not get the memo for the proper recipe. The only person who should be fired is the bartender that made this drink, because it was awful. I could barely taste the vodka, there was little to no tomato juice, and it was way too spicy. It was so spicy I could literally “Feel The Bern”. It seemed as if the bartender poured a whole bottle of Tabasco sauce into an undersized glass and passed it off as a Bloody Mary. Maybe he recognized I was a journalist. I was very disappointed with the service from my waiter, who only visited the table when he took our order and when he asked if we wanted the check. We were never asked if we wanted another drink and it seemed as if we were ignored for the larger parties next to us. With that being said the atmosphere inside the grill was enjoyable as the room was dimly lit and there was a slight ambiance of music in the background. There were many families around us and everyone seemed to be enjoying themselves. 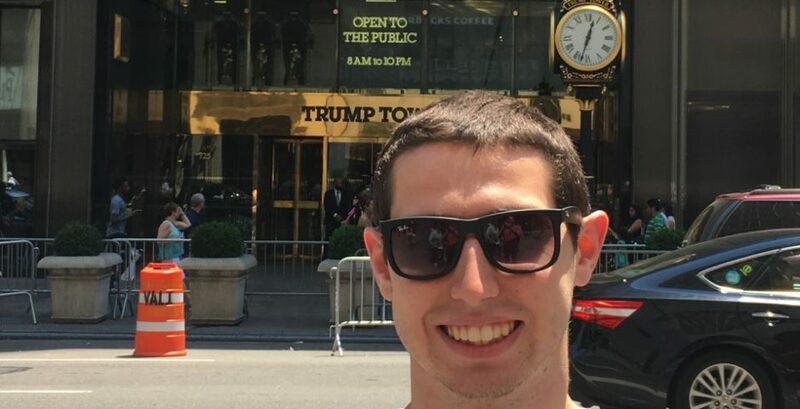 I ended up spending $77 altogether on brunch for two, which is not extremely pricey for New York City considering the location and the fact that we were inside Trump Tower. Overall the food was the best part of this experience, but it was definitely over-hyped just like most attractions in New York City. 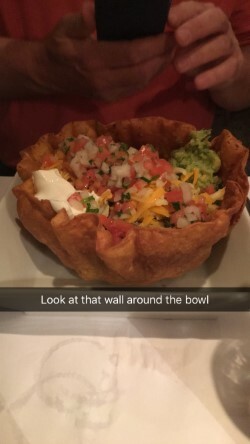 If you end up visiting Trump Grill, I would recommend getting the taco bowl for your main course and skip the drinks in order to keep the price down.